Apple’s latest iPad generation is a gadget that truly lives up to the Apple standard. It’s rumoured creation began as early as the release of the third generation iPad back in March 2012. However, iPad enthusiasts had to wait until the official release date of November 2, 2012 to get their hands onÂ one. A slight controversy arose upon the release of the iPad 4, when Apple decided to discontinue the third generation iPad at the same time. Many recent iPad 3 purchasers were dismayed at this decision so close to the release of the newer model. In response, Apple extended its fourteen day return policy to thirty days. This allowed those who had purchased a third generation model within weeks of the fourth generation iPad release to exchange it for the newer one. Siriâ?? Apple’s Siri software program enables the use of voice commands to send messages, plan meetings and make calls. Safari â?? Apple’s proprietary internet browser allows for easy and quick internet surfing. Mail â?? Keep on top of all email messages in one place. Photos – Stores photos, create albums and upload or synchronize with other Apple devices. Video â?? Create videos, edit and share. Music â?? Store and categorise music files for easy retrieval and fast access. iTunes, App Store â?? Download, music, films, videos and apps. Maps â?? Find any place, anyone and anything â?? anywhere in the world. Game Center â?? Join in Apple’s online fun and creative multi-player social gaming network. The multi-talented iPad can be used as a cellular or mobile phone with the aid of pair of headphones. Users can make phone calls over Wi-Fi or cellular using a Voice-over-IP application. Another neat feature on the latest iPad model is the dictation application. Using Apple’s own voice recognition technology, by simply talking into the device a user’s voice is converted to text onto the iPad screen. Amazing stuff! The new fourth generation iPad looks almost identical to its predecessor, however there are a few changes under the bonnet or hood. The tablet has what’s called â? ?nativeâ? orientation. This allows for the PC tablet to be used upside down and all the installed apps and programs will respond accordingly. The maximum storage capability has been increased fromÂ 64 GB in the previous three iPad generations to 128 MB in Apple’s latest venture. The front camera on the iPad 4 also had a slight upgrade. It went from VGA quality with 0.3 MP to HD quality and 1.2 MP. 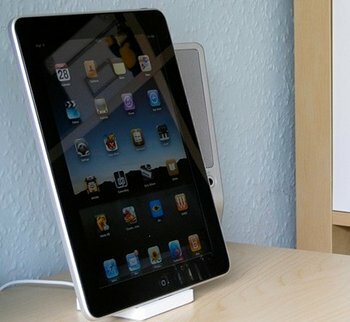 It’s quite possible and likely that Apple engineers are already working on the fifth generation of iPad tablets. A thinner and more technologically advanced will probably be the central improvements in the new iPad 5. David is a writer working for robustbuy .Robustbuy is an online shopping for all kinds of electronics including iphone accessories,ipad acessories.